Paperbag high-waisted tapered pants -. dear ami, haha..u ade polyvore x? best n i knoe u will like it. 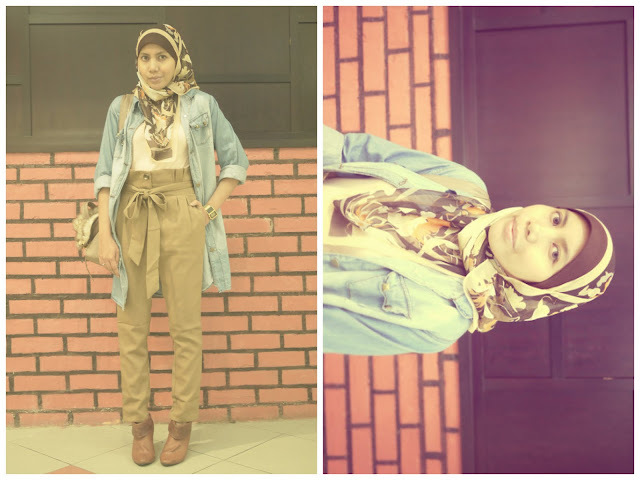 karer mustard campur dgn oversized jeans is so in! keep it up dlm campuran mix n match anda.kt sg.wang byk sgt..juz hve a look tadi! Such a fabulous combination indeed! @christine, thank you so much love! Beautiful colour combination! I never would have put it together, but I love it! @soso, thank u dear.. you're so kind!